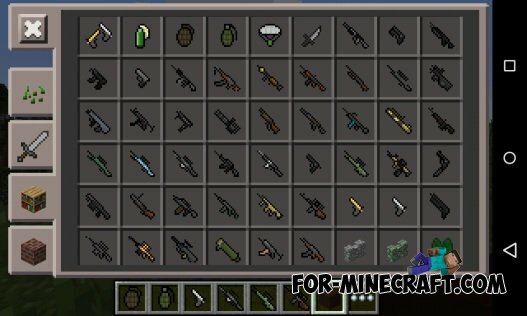 The new version of one of the most popular mods for Minecraft PE, which adds a bunch of new guns (over 50!). Each update adds new items to the game, as well as improvement. This is the coolest mod that adds to the game for more than 50 new guns! Everyone will find a weapon to taste. All guns have their own sounds, you can aim and much more. 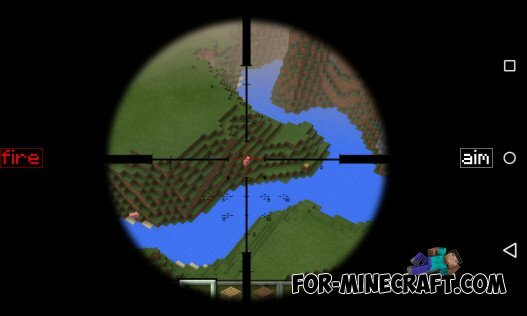 DesnoGuns mod for Minecraft Pocket Edition 0.10.4The mod adds more than 50 guns in Minecraft PE! Among them - shotguns, sniper rifle, rocket launcher, pistols, machine guns, grenades and even a parachute!